If you have difficulty sleeping during pregnancy, you may want to learn about treatment options. Certain conditions such as insomnia and restless legs syndrome (RLS) may occur more frequently during pregnancy. Other sleep disorders such as narcolepsy and sleep behaviors known as parasomnias may persist through pregnancy and require treatment. It is important to understand how the safe use of medications during pregnancy is determined. Then, you can consider what options your doctor might have to treat your condition and help you to sleep better. Discover what medications are safest to use to treat sleep disorders in pregnancy. The first choice to treat a sleep disorder in a pregnant woman is to use lifestyle changes to help relieve the condition and avoid all medications. For those suffering from insomnia, a treatment with cognitive behavioral therapy for insomnia (CBTi) may be effective. Even in RLS, a variety of changes can lead to relief without resorting to medication. In severe conditions, some medication must be used with caution. The concern is that many medications have not been tested in large numbers of women. No one wants to cause a birth defect. Drugs that do so are called teratogenic (literal translation = "monster forming"). Therefore, many studies are not done in pregnant women because even a small risk is not deemed to be acceptable. Nevertheless, experience and studies in animals have given us some guidance on medication safety in pregnancy. Category B: Animal studies have not indicated a fetal risk but no controlled studies in pregnant women exist, or animal studies have shown an adverse fetal effect that is not confirmed in controlled studies in women in the first trimester. There is no evidence in later trimesters. Category C: Animal studies have shown adverse fetal events, but no controlled studies in pregnant women exist, or studies in humans and animals are not available; thus, the medication is given if the potential benefit outweighs the risk. Category D: Risk to fetus is present, but benefits may outweigh the risk if a life-threatening or serious disease exists. Category X: Studies in animals or humans show fetal abnormalities; the drug is contraindicated for pregnant women. Therefore, medications are deemed to be safer when additional research supporting safety in humans is available. However, an individual’s risk with the use of any drug may still result in unacceptable consequences. After considering the list of medications available for the treatment of sleep disorders during pregnancy, you should have a candid discussion of your situation with your doctor. You will want to consider the severity of your symptoms. Do you even require treatment or will the condition pass on its own? If possible, you should first try non-pharmacological treatments including lifestyle changes. If you can address stress, alter your diet, or improve your condition with exercise, you may not need to consider a potentially risky medication. 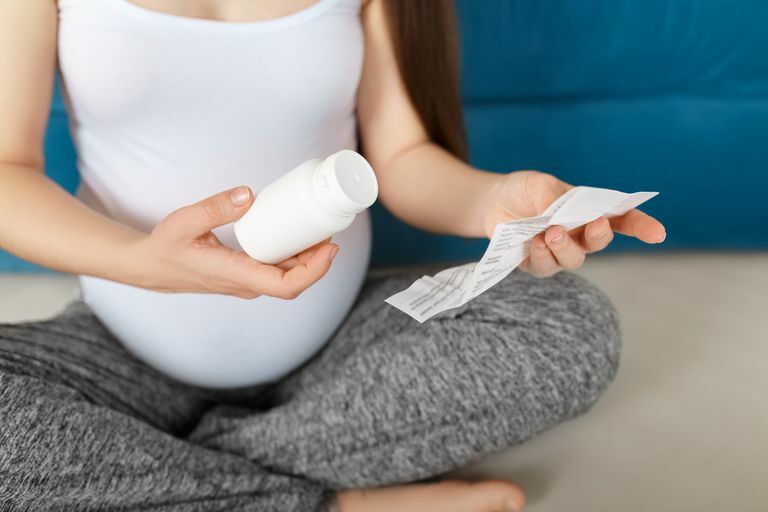 If you do decide to choose to take a medication during pregnancy, discuss the potential risks with your doctor and pharmacist to ensure you are fully informed of the potential consequences. You can be your best advocate, both for yourself and your unborn child. Kryger, MH et al. "Principles and Practice of Sleep Medicine." ExpertConsult, 5th edition, 2011, p. 1581. Do You Need a Prescription to Help You Sleep?